Six decorated former players and three influential former head coaches have been selected to the National Collegiate Basketball Hall of Fame Class of 2019. The honorees will officially be enshrined on Nov. 24 in Kansas City at the 2019 National Collegiate Basketball Hall of Fame Induction Celebration presented by Nike. Indiana’s Calbert Cheaney, Duke’s Shane Battier, Purdue’s Terry Dischinger, Providence’s Ernie DiGregorio, UNLV’s Larry Johnson and Stanford’s Todd Lichti join former coaches Homer Drew, Lute Olson and the late Rick Majerus to form the Class of 2019. 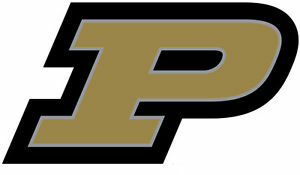 Terry Dischinger was a scoring and rebounding machine in his three varsity seasons at Purdue. From 1959-62, Dischinger averaged 28.3 points per game – the third-highest average in program history – along with a school-record 13.7 rebounds per game. He also holds the Purdue record for free throws made with 713. Dischinger earned All-Big Ten accolades in each of his varsity seasons and was a second-team All-American as a sophomore and consensus first-team All-American as a junior and senior. Dischinger was a member of the 1960 gold medal USA Basketball team and went on to win the NBA Rookie of the Year award in 1963 and make three NBA All-Star Teams. Dischinger is Purdue’s all-time leader in double-doubles (54) and ranks sixth in career points (1,979), second in rebounds (958), 13th in field goal percentage (.553), free throw attempts (871) and is 11th in free throw percentage (.819). 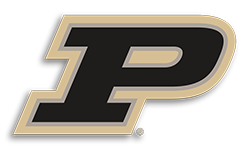 Dischinger becomes the fifth Purdue representative to be selected to the Collegiate Basketball Hall of Fame, joining Rick Mount, John Wooden, Ward “Piggy” Lambert and Gene Keady. The National Collegiate Basketball Hall of Fame is located inside the College Basketball Experience (CBE), a world-class experiential entertainment facility adjacent to Kansas City’s Sprint Center. The Hall of Fame’s 14thinduction celebration will precede the 2019 Hall of Fame Classic powered by ShotTracker, which will showcase Missouri, Oklahoma, Butler and Stanford competing Nov. 25-26 at Sprint Center.